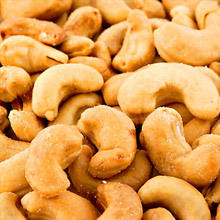 These large roasted and salted cashews have a rich and creamy flavor and make a great snack. Try them today and find out how delicious they are. They are sure to become your new favorite snack! Price quoted is per pound, not including shipping.